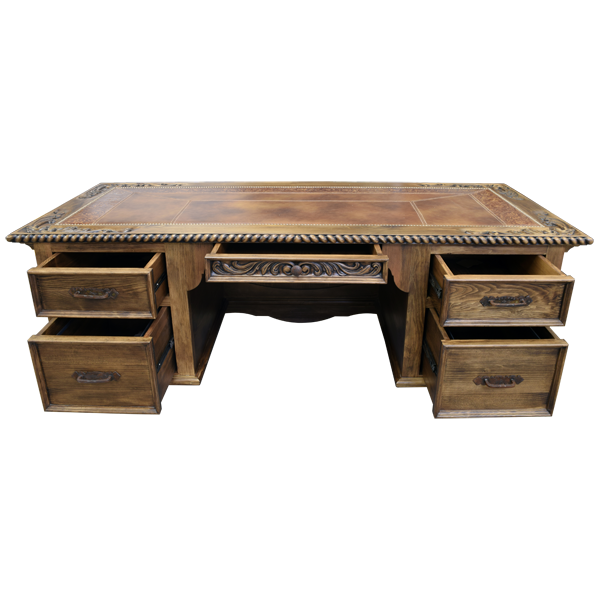 Enhance your office décor with the spectacular details found in this handcrafted, Western style desk. 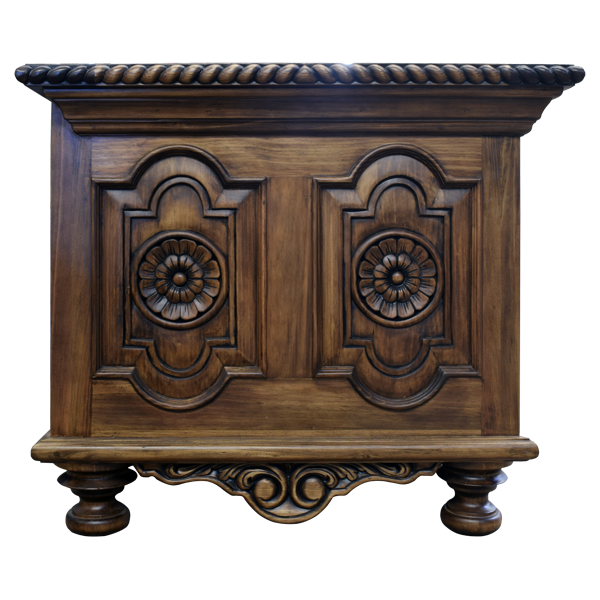 The keyhole style desk has an open, wide top and the top has a centered, rectangular design covered with full grain leather. The center design is bordered by contrasting, patterned, full grain leather, and the top rim has a hand carved, twist rope design. 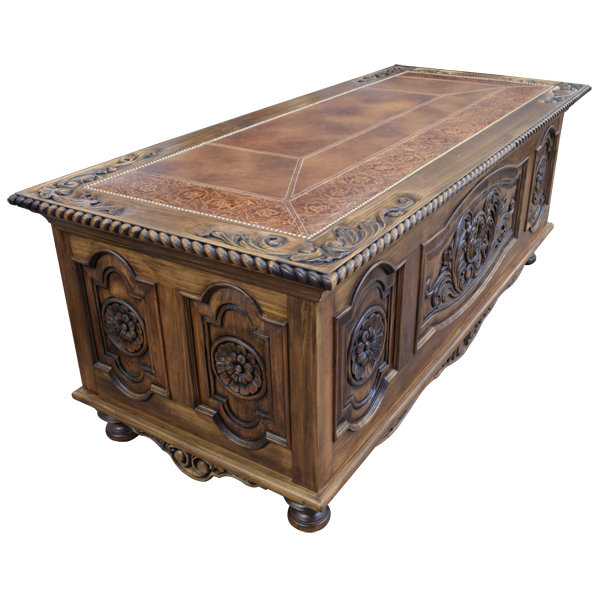 The leather is hand tacked to the top with lovely, gilt nails, and the leather is double stitched together for extra strength and durability. 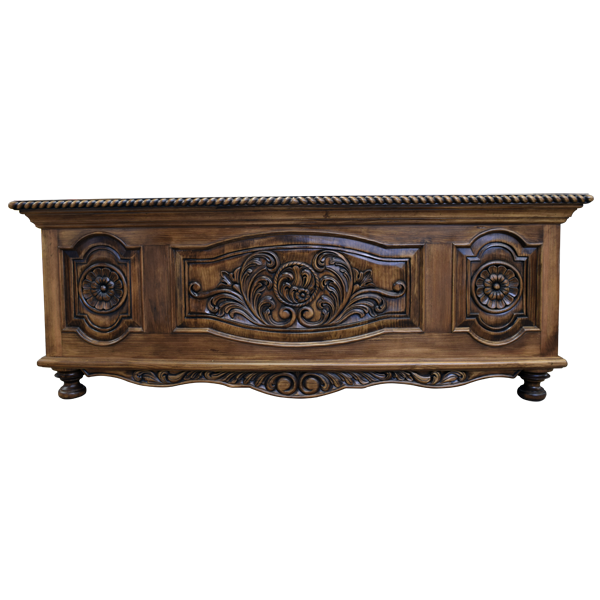 The front of the desk has three geometric cut panels with spectacular, hand carved, floral designs in their center, and the center panel is the largest, Each lateral side of the desk has two, matching, geometric panels. 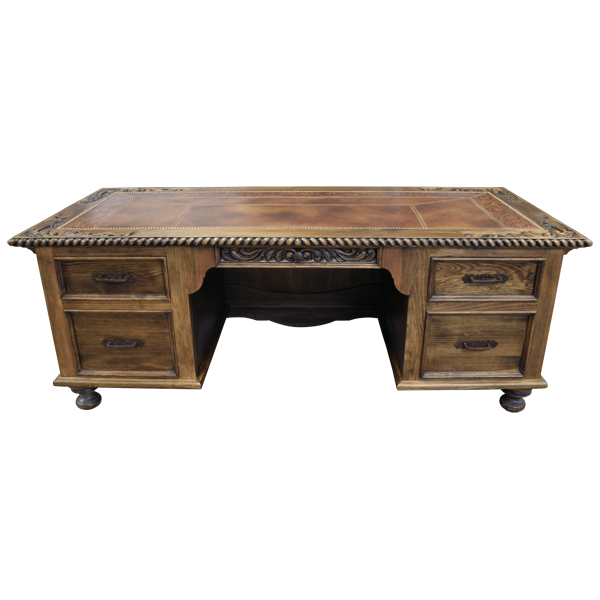 The desk has a centered, wide, rectangular drawer, and the drawer has a hand forged, iron handle. Right of the centered drawer are two rectangular drawers, and centered in each drawer is a hand forged, iron handle. 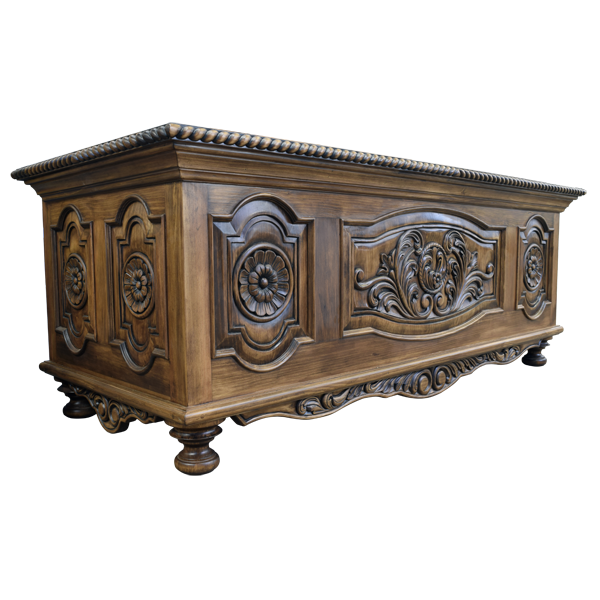 Left of the centered drawer is a larger, rectangular drawer, and there is a hand forged, iron handle in its center. Under the front and side base is an apron, and the apron is enhanced with ornate, hand carved, floral and scroll designs. 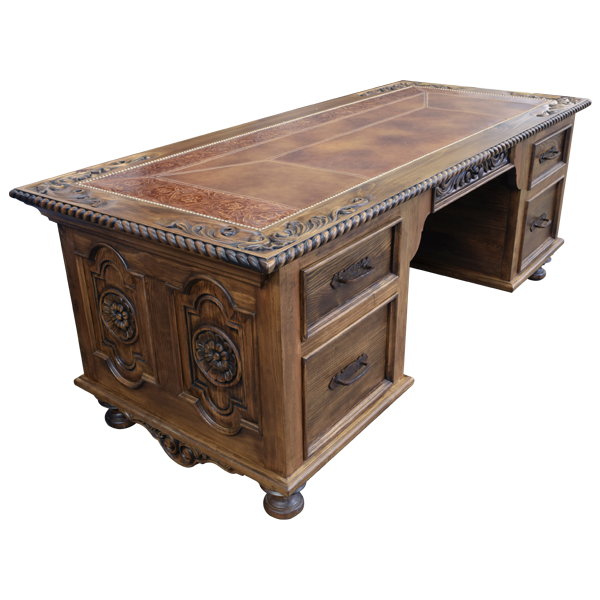 The desk rest on hand turned, bun style feet, and it is made with the best, sustainable, solid wood available. It is 100% customizable.